What Can Vodou Do For You? The morality of Haitian Vodou is different to the morality of other religious paths, even those paths which make use of magical work. Haitian Vodou can, and will, help you form a love connection with a particular individual. Haitian Vodou can, and will, provide protection from the law for a drug dealer. It will also protect the home of the most humble and law-abiding citizen, or help a lonely child find worthwhile friends. Vodou is for everyone, and everyone can benefit from the assistance of the lwa in their lives. Vodou is so much a part of life that there is something to be done to help almost every situation. Unless something is directly against the will of God, the houngan and mambo of Haitian Vodou have the power to effect change for the better. Kiwi Mojo’s resident houngans are able to offer traditional Haitian Vodou ceremonies and services for the improvement of life and the benefit of an individual or community. Although some services are unusual to many of us culturally, each of these services are powerful ceremonies that will improve the life of those who receive them, bringing to them the powerful assistance of the lwa. 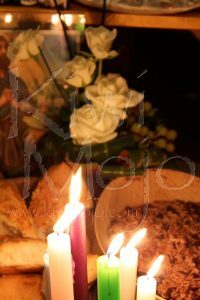 Kiwi Mojo offers a full range of traditional Vodou services, from the simplest blessing through to the placing of complex gads. 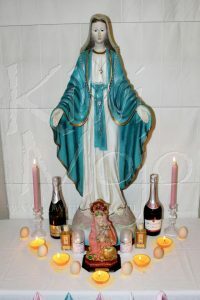 We can create customised perfumes, pwen, and altar items. We can administer a number of baths. We can bless anything, from an altar to an entire property. We can also mount a number of ceremonies of behalf of an individual or group, and we offer initiation. Readings and lesyon with Houngan Liam and Houngan Alistair, and individual consultations with lwa in possession. Magical work, from the creation of custom items to complex work on the point of a lwa. The administration and creation of spiritual baths, to bring luck or to cure a problem or situation. The placing of gads, guards to keep an individual or area safe from harm. Ceremonies which can be performed by Hounfo Racine Deesse Dereyale on behalf of another, from blessings through to mounting entire Fet. The types of initiation offered by Hounfo Racine Deesse Dereyale, including the kanzo ceremony.